4-room apartment on the top floor. Comfortable and cosy furnishings: living/dining room with open-hearth fireplace and satellite TV (flat screen). Exit to the balcony, south facing position. 1 double bedroom with sloping ceilings with 1 double bed. Exit to the balcony, north facing position. Walk-through room with 1 double wall-trunk bed. 1 room with sloping ceilings with 2 beds. Kitchen (3 hot plates, oven, dishwasher, microwave, freezer, electric coffee machine). Bath/WC, shower/WC. Terrace furniture. Very beautiful view of the mountains and the resort. Facilities: Internet (WiFi, free). Please note: non-smokers only. 1 pet/ dog allowed. Cosy apartment block Azurit, built in 1979. 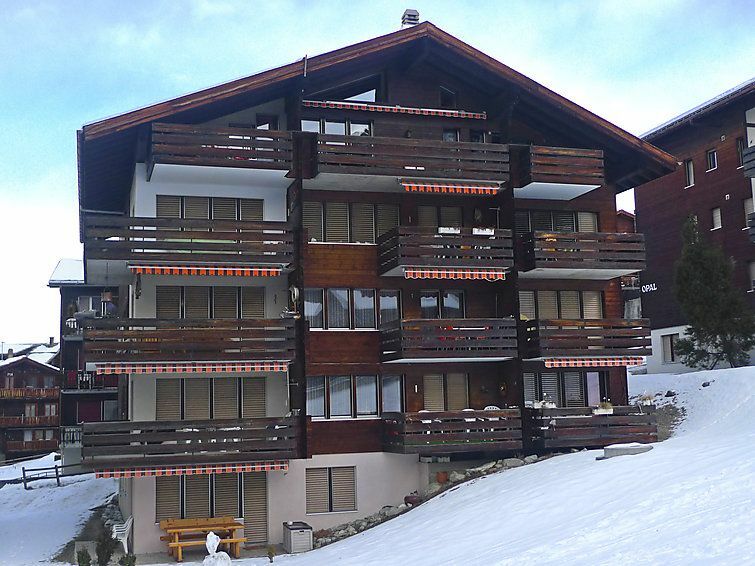 In the resort, in a central, quiet, sunny position, 400 m from the skiing area, in a pedestrian area. In the house: lift, storage room for skis, central heating system. Motor access to 300 m from the house. Public car park at 300 m. Shop, grocery 100 m, restaurant 10 m. Ski lift, gondola lift, skisport facilities, slopes, ski rental, ski school, sled run 400 m, children's playground 300 m. Please note: car-free holiday complex.